← Week 6 of my 4&5 Year Olds first year of school: PrepD Student Led Interactive Writing – Why is this strategy so powerful? 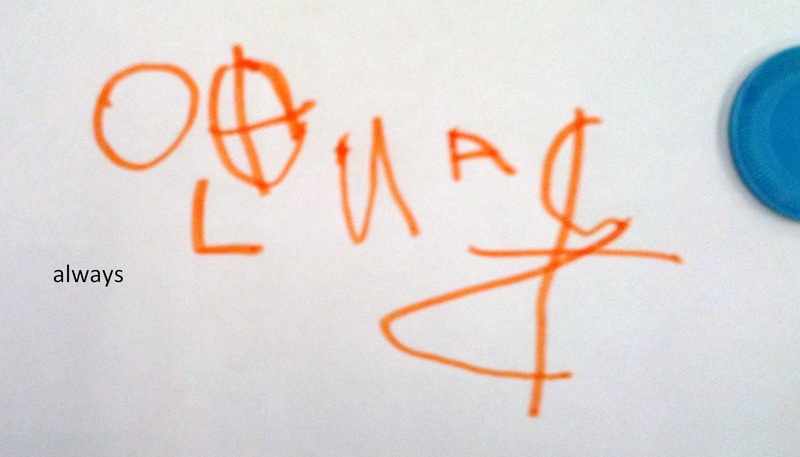 Week 7 – First Year of Formal Education in Australia: 5 Year Olds – PrepD Student Led Interactive Writing. I can’t believe how quickly our first term in Victoria, Australia is travelling. The Preps have had Wednesdays off for the first 6 weeks, a four day week for week 7 due to a public holiday, and will now attend everyday. The children have completed an assessment interview on one of the Wednesdays, which works well. With the initial assessment completed, I have documented where each student is on our learning continuum, planned teaching and learning needs for the grade, for individuals, and identified groups of students with similar learning needs. PrepD Student Led Interactive Writing is planned each week, and this is when I’m looking for the transfer of teaching and learning into their writing. Listening to the children ‘talk their learning’ while they construct their sentence gives a wonderful insight into their thinking. I’m looking for the strategies being used, their ‘thinking aloud’ and how well the taught strategies are supporting them. Listening, observing and questioning allows me to plan the ‘where to from here’. 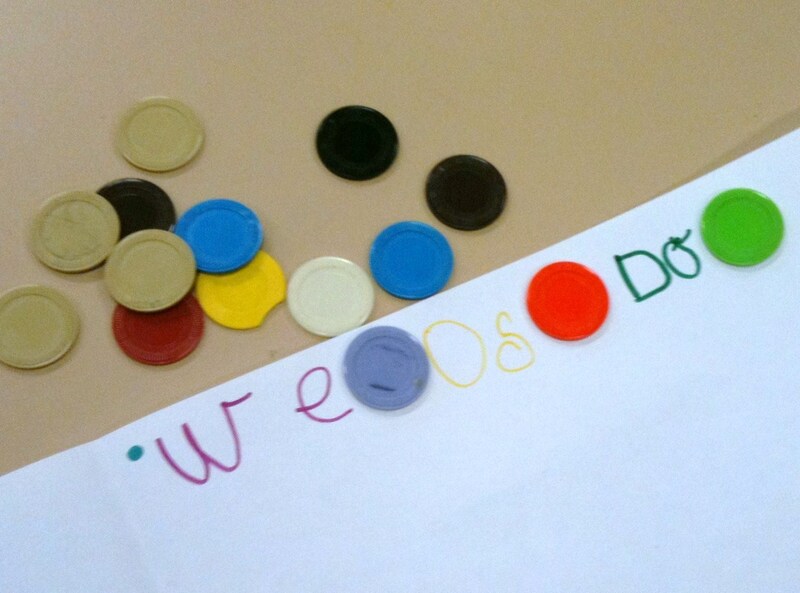 Our Language Experience sentence for this learning experience is: We always do our work. My focus was on listening to their conversations, and observing their use of strategies. Whilst roving and observing my students, I paid particular attention to how they attacked ‘always’. These children are beginning writers, and their attemps are excellent. Their independent writing is also developing well. Thanks for the support. It’s appreciated. I’m pleased with my Prep’s progress, and how engaged they are. Using a question (Inquiry Approach) at the start of my focus/ explicit teaching has helped, also I finally have an IWB. I’ve been using the IWB to support reading and writing. As my program is Language Experience, it includes reading, writing, oral language and numeracy development. Their reading development equals their writing. Great strategies are developing. I’m using Fountas and Pinell for reading (meaning and fluency), and PM Exemplars to support writing. Oral Language activities everyday & the reading wall. Sight vocab is growing quickly. Booker for maths. English On Line, Numeracy On Line, Royal Children’s Hospital Auditory Processing are the initial assessments, and this week I’ll do a Running Record for each child. Lots of Big Books at the moment. And we still have time to create, and play. Cheers Nina – Hope your year started smoothly. It’s been busy! I’ve been following your writing journey with preps this year. Fantastic. One thing I always appreciate is having the pictorial samples to look at as you go along – its helps to connect. I’m going to try and link my prep team into your blog. They have grappled with student writing as well and could take a few ideas from you.